Picture the early settlers sitting down after a long day and a hearty dinner, talking over a cup of coffee. They discuss the way the area is changing and growing. In addition to a blacksmith shop, there is now a wheelwright store, a hotel and general store. People were saying the community needed a name. Finally, in 1858, Dan returned to the Valley to stay. According to his letter: “I came into the Valley once more—this time for good—and purchased a farm, where Danville is now located, of a man named Pigmore. I went to farming and seeded the lands with wheat that winter.” In 1863, he married Josephine Jones, a daughter of one of Alamo’s pioneer couples, and moved to Livermore with his friend William Mendanhall in 1865. In Alameda County, they became community leaders. He and Josephine helped found the Presbyterian Church in Livermore. He served as County Supervisor from 1867-68, was elected to the State Assembly in 1869, was the first Livermore Grange Worthy Master and was an elected representative to the convention that revised the original California Constitution in 1878-79. He also served as the president and manager of the State Granger’s Association and store in San Francisco. An advocate for the railroad and for reasonable rail rates for farmers, Daniel Inman was known for his integrity. 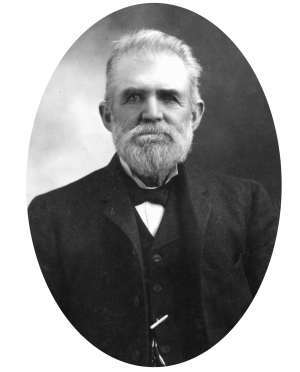 When Inman died in 1908 at 81, he was the father of seven children, well known and honored in Livermore and the Valley. A school and a street in that community were named after him. As a young man in Danville and a leader in Livermore, Daniel Inman left his mark on both valleys in the 19th century.